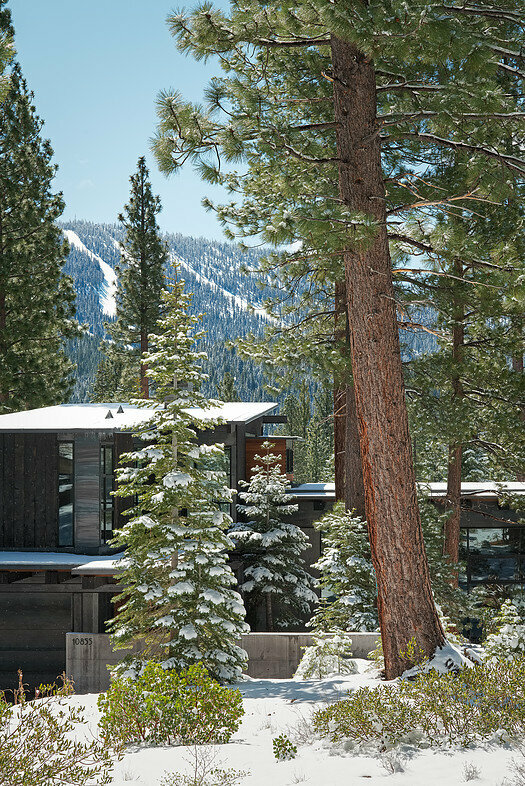 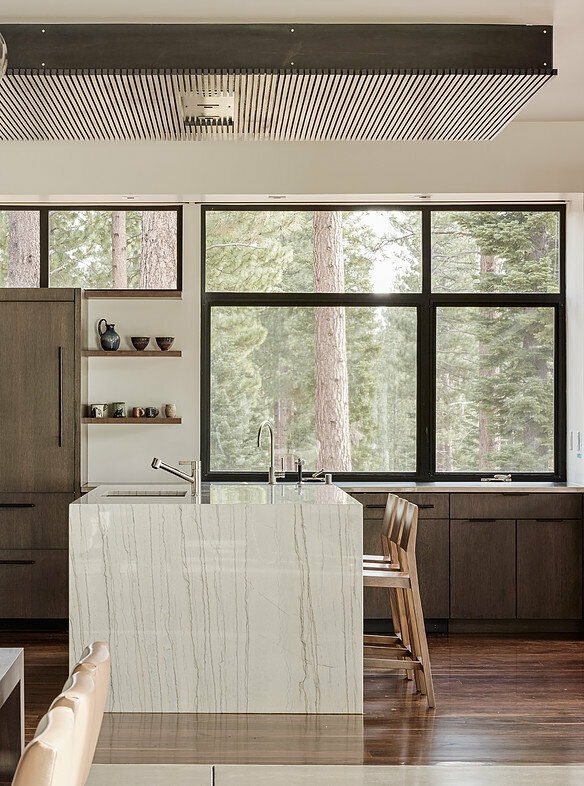 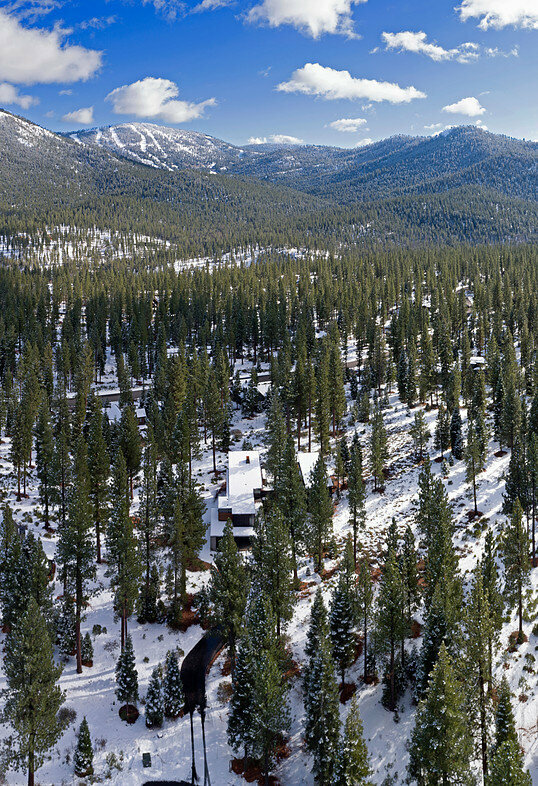 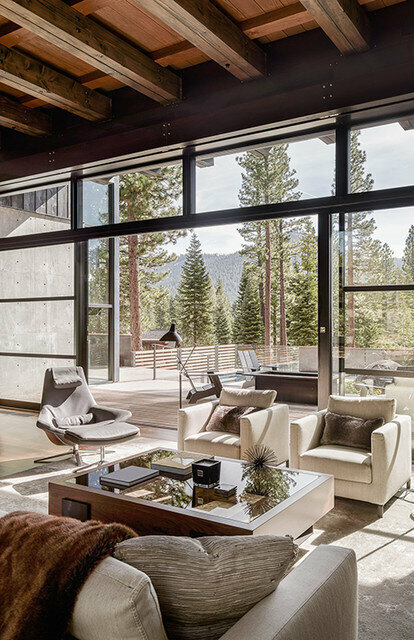 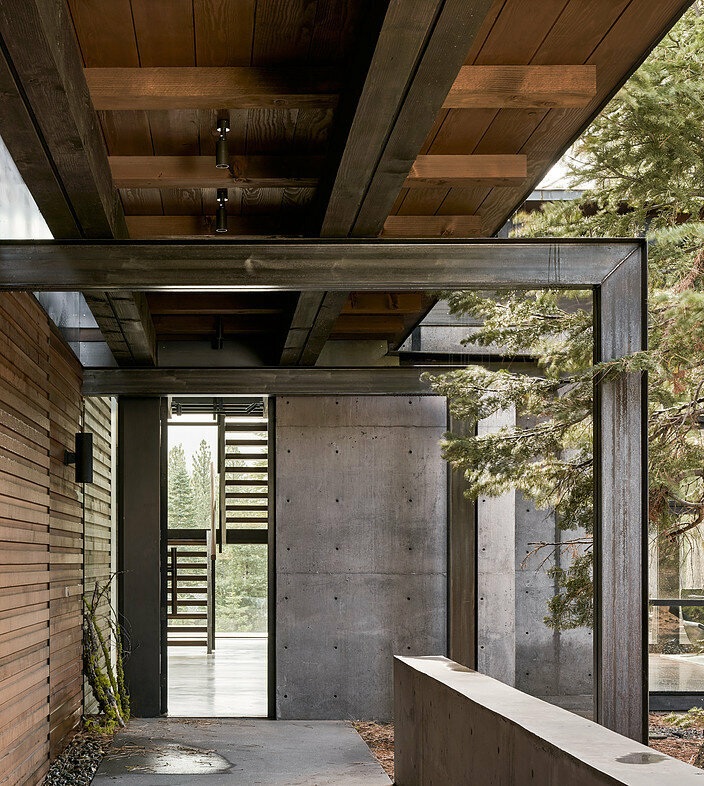 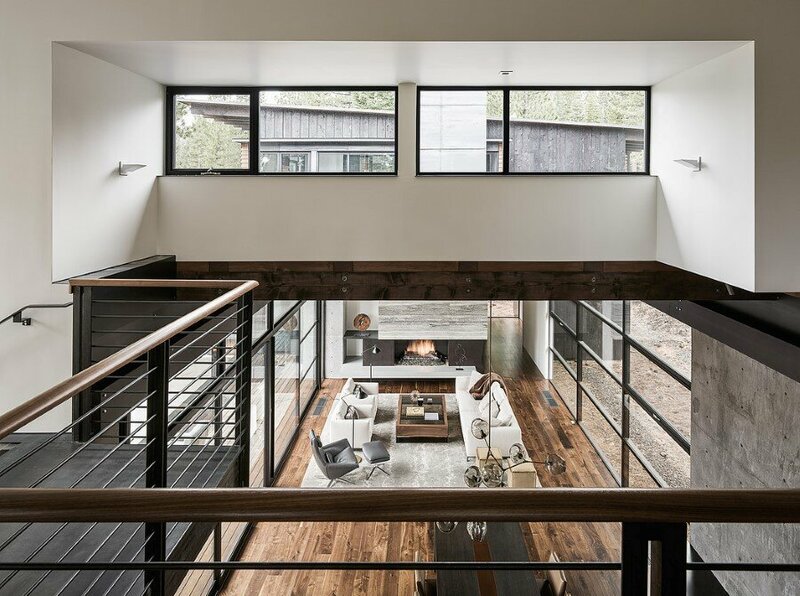 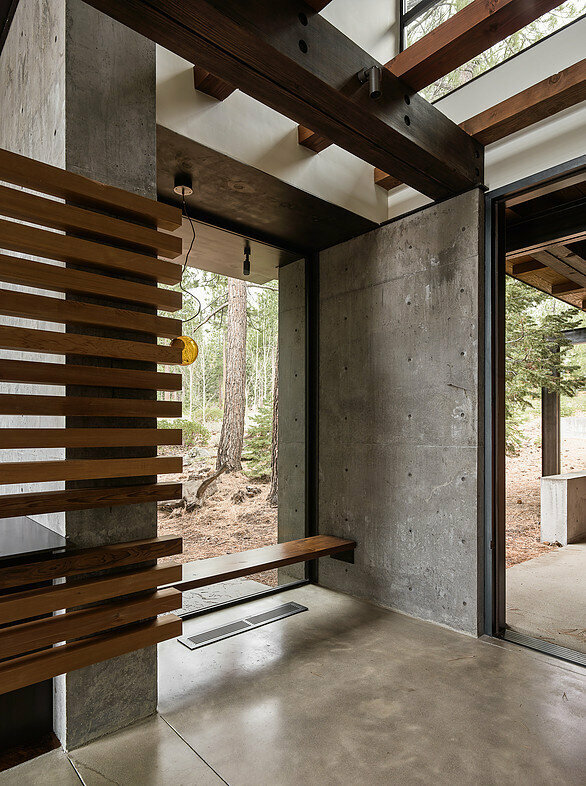 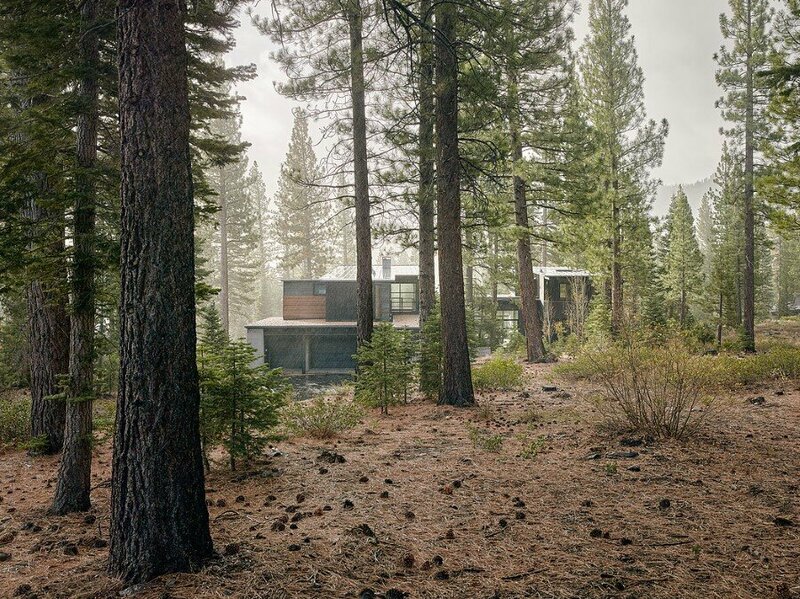 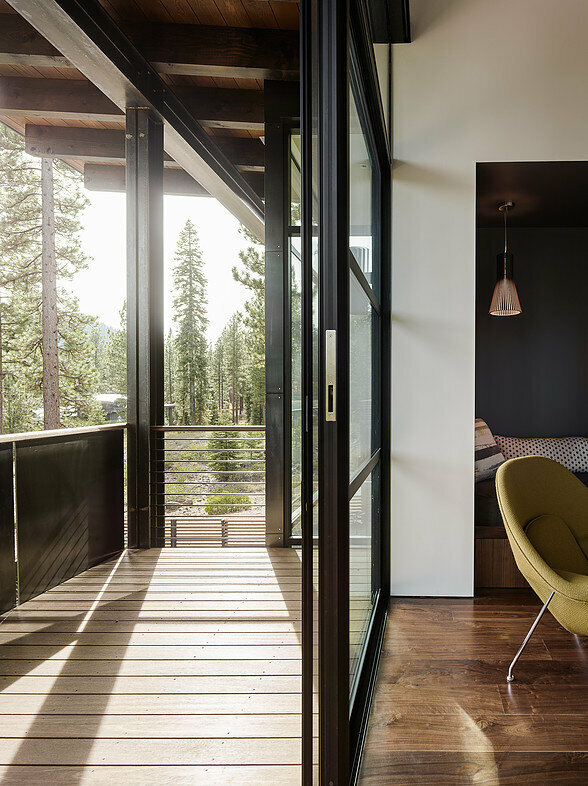 Located in Northstar California resort, Martis Camp 141 is a vacation home designed by Faulkner Architects. 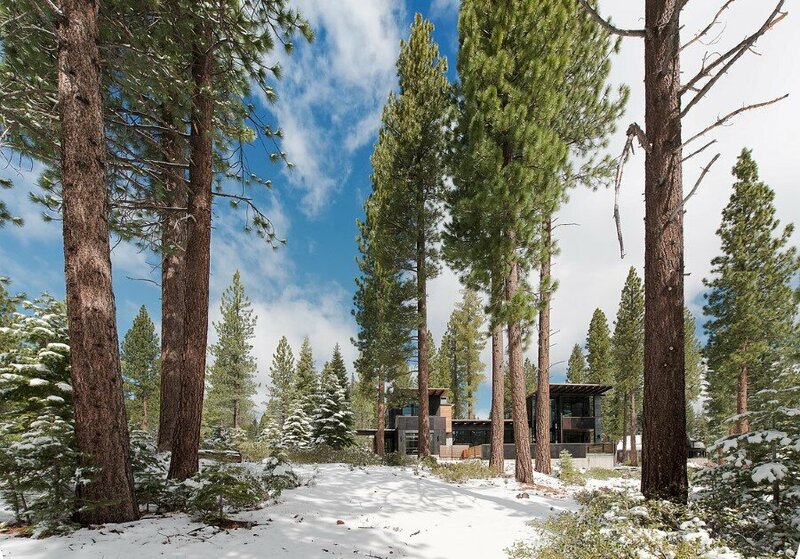 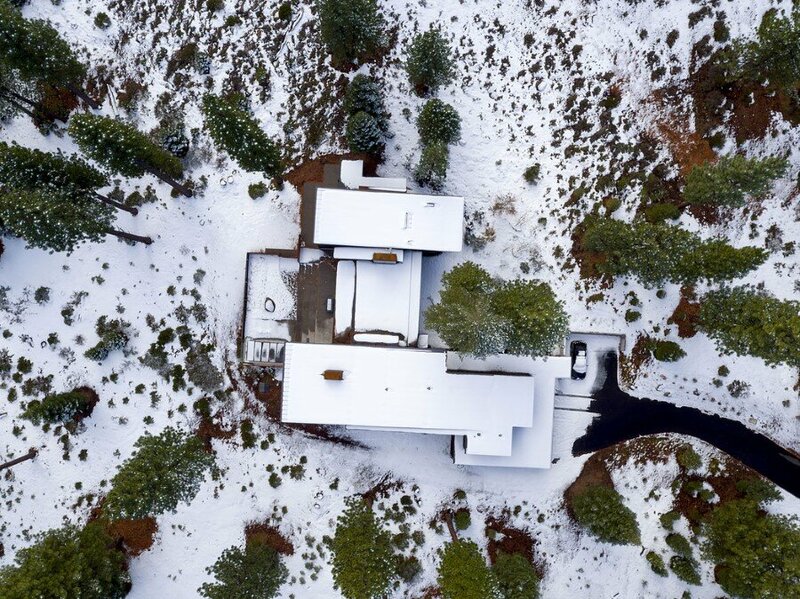 Description by Faulkner Architects: The owners of this family holiday gathering place requested transparency through the house to the ski runs of Lookout Mountain at Northstar California. 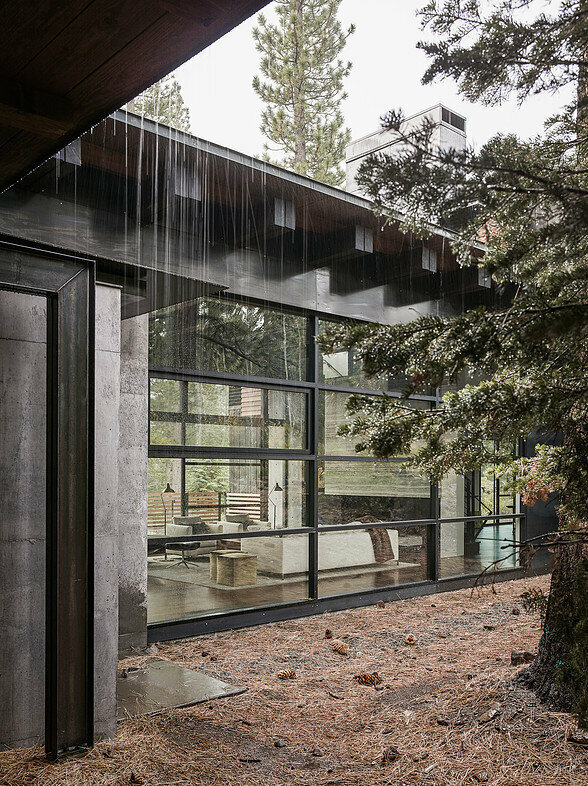 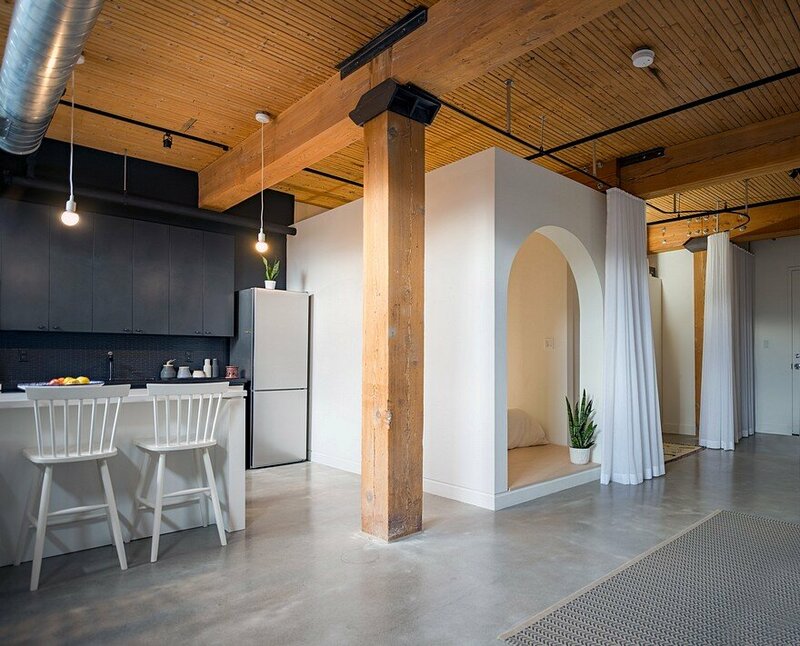 Mirrored courtyards are connected through a floor to ceiling glazed, open living and dining space. 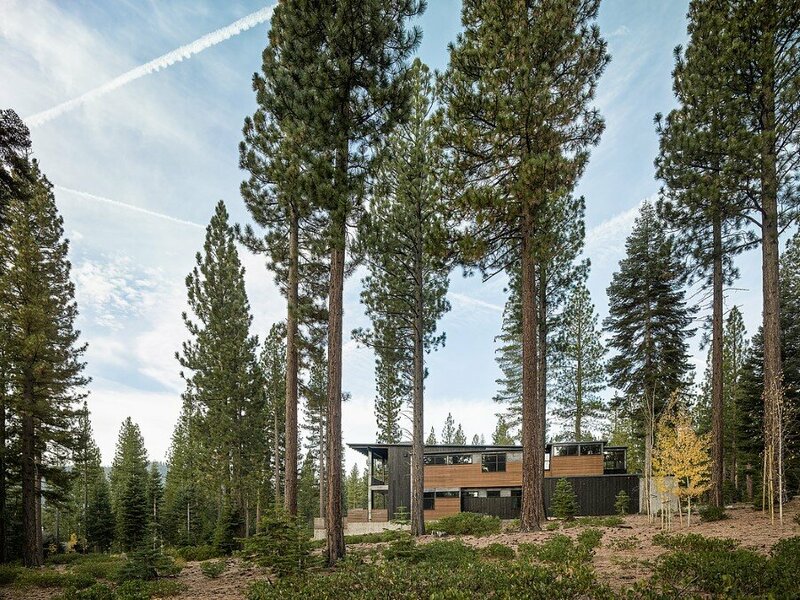 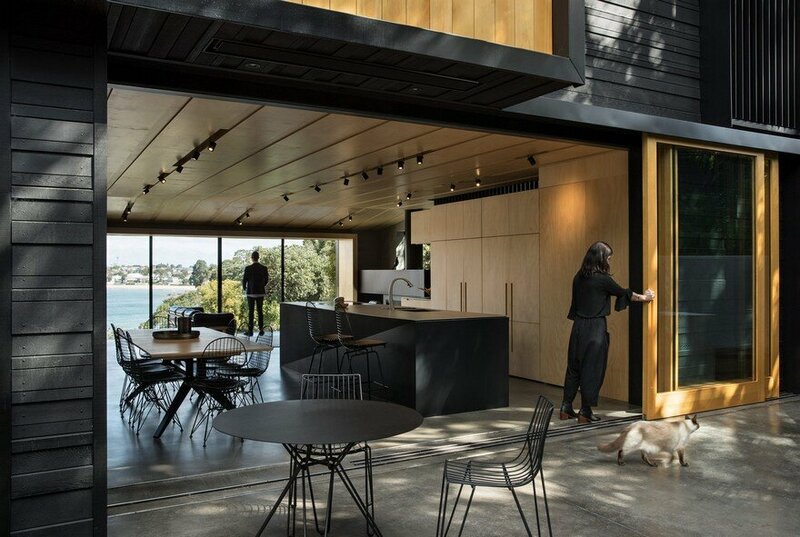 The floor plan wraps around the two distinct yet linked territories, one facing the street that surrounds and protects 30 inch Jeffrey and Sugar pines and the other private and domesticated with courtyard walls and a habitable landscape oriented to the south sun and views.